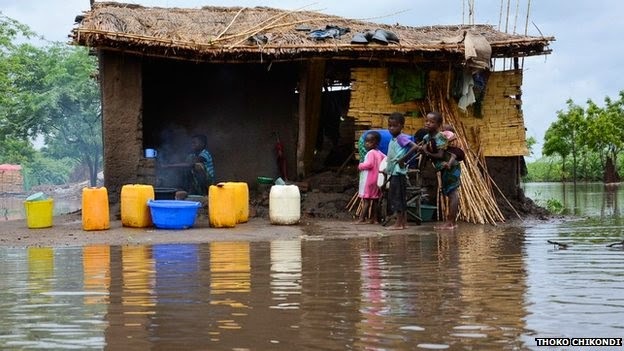 At least 48 people have been killed and around 23,000 forced from their homes by heavy flooding in Malawi yesterday. President Peter Mutharika has declared a third of the country a disaster zone and urgently appealed for foreign aid. Reports from neighbouring Mozambique said a group of 25 school children were swept away by floodwater on Monday after heavy regional rain began last month. Sadly, forecasters say they expect it to continue over the coming days. Mr Mutharika, the President has announced his government alone does not have the capacity to control the flood.